Bunker Punks is a roguelike first-person shooter set in a dystopian future. You control a group of revolutionaries, raiding corporate strongholds for supplies, weapons and armor. 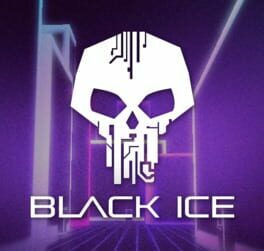 Black Ice is a Hack and Shoot – a Cyberpunk First-Person Shooter/Hack & Slash RPG about hacking. Think Borderlands meets Tron. The cyber-world is procedurally generated, the colors are neon, the loot is randomized, and the lasers are loud. Black Ice is currently in Beta, with updates on the way. Enter the Blacksea Odyssey, a violent top-down rogue-lite space shoot ‘em up RPG brimming with colossal creatures and runic technologies. Explore dangerous, interstellar spacescapes as you hunt enormous space-behemoths with a harpoon and rune-infused spears. 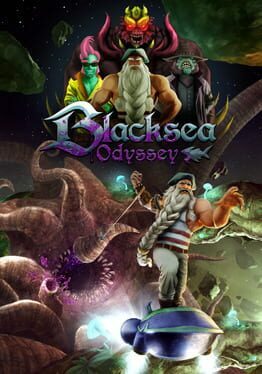 Unlock fierce space-huntsmen and collect runes to customize your spear and space-board to hunt as you please in the deadliest competition in the universe - the Blacksea Odyssey! 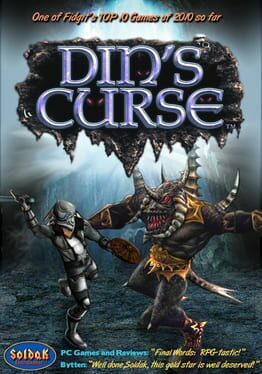 Din's Curse is a single player and co-op multiplayer action RPG with 141 class combinations, infinite number of dynamically generated towns, real consequences, and a dynamic, evolving world. Alien Shooter 2 - Conscription is the continuation of cult Alien Shooter 2, which is a unique blend of two game genres - Action and RPG. The Great War has begun! The world population capable of functioning is mobilized to serve in the army. Hordes of monsters are destroying the cities and capturing new territories. The situation on the battlefront reached the critical emergency point and there's nobody to help. Try to fight with the aliens as a private soldier from the regular army, which happens to be in the center of the action. The outcome depends on you! UNLOVED is based on the community award-winning mod for Doom2 with the same name by the same creator. UNLOVED is a strange place. A twisted reality. A nightmare that comes to life. A place where demons and abhorrent monsters manifest and possess the living with only one goal: to end you. Nothing wants you here. And there is no way out. Only the elevator that leads further and further down into the darkness of your insanity. 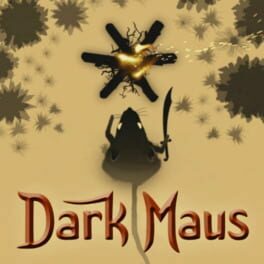 "DarkMaus is an indie action RPG with challenging, skill-based combat that punishes careless play. In DarkMaus, you play a lonely wanderer searching for what’s left in a corrupted world. The odds are against you – you will certainly perish. Death Echo: Each time you die, an ally ghost is summoned that retraces your steps, fighting by your side. With time you can collect multiple ally ghosts and choose their weapons for extra strategy opportunities. A worthy challenge: Combat in DarkMaus is thoughtful and skill based. Enemies force you to be reactive to survive, and punish any greedy moves or mistakes. You’ll start out swearing that it’s impossible, and end up a god among Mäuse. A dark world to explore: Search for answers and secrets in the desolate land of Hazath, whose inhabitants have gone feral. Combat style variety: From spears to greatswords and bows to fireballs, DarkMaus has a large number of viable builds and playstyles. DarkMaus is designed for a controller, and is currently PC only." Rogue-like FPS with strong RPG elements set in a 22nd century reality-show parody. Win a fortune or die, but never disappoint your audience. And audience is virtual or real with revolutionary but optional features for streamers and their fans. While you were battling the evil forces of D'Sparil, the other Serpent Riders were busy sowing the seeds of destruction in other dimensions. 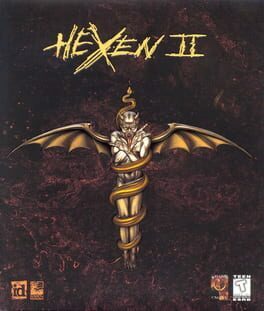 One such dimension is the decaying world where Hexen takes place. A world littered with the mangled corpses of nonbelievers and inhabited by the undead followers that executed them. Only three humans &endash; a warrior, a mage and a cleric &endash; have escaped the leaders' vicious spell. Now these brave souls have sworn to crush the evil regime that threatens to destroy the world forever. Separated upon entering the mystical portal, the three are forced to attempt on their own what they had hoped to do together: find Korax's stronghold, destroy him and restore order in the physical world. Become one of 3 heroes. Wield superhuman powers and lethal weapons. Walk. Run. Fly. Look all around. Inflict serious pain. Pillage your way through earthquakes, crumbling bridges and fog. Track down powerful artifacts and cast wicked spells. Four sick individuals can wreak havoc via network, two by modem. S.B.T.F. is a very hard arcade-style / rogue-like / perma-death first person shooter. 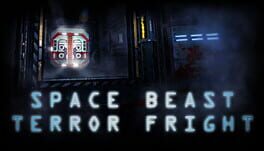 You play as Marines who must brave dark, claustrophobic and terrifyingly intense Space Beast infested spacecraft in order to extract critical data and lucrative upgrades. Can you make it out alive? 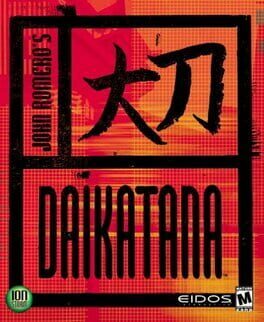 In 2455 A.D. , Kage Hishima used the magical powers of the Daikatana, the most powerful sword ever forged, to alter time and establish himself as supreme ruler. You are Hiro Miyamoto, one of the few people on Earth who remembers what really happened. The burden of saving the world, your version of it, has fallen unto your shoulders. You’re not alone as your friends, Superfly Johnson and Mikiko Ebihara, travel by your side. You must gather weapons, overcome all obstacles, discover deviously concealed secrets, and battle a bewildering array of foes. Use your resources wisely as you’ll need all the help you can get. The legendary Serious Sam reloads and rearms in an explosive, turn-based RPG developed by indie developer Vlambeer (Super Crate Box, Ridiculous Fishing). 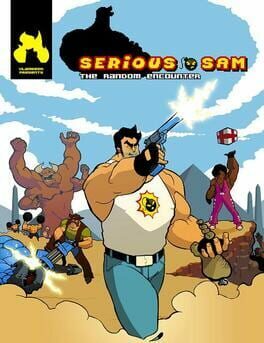 Serious Sam: The Random Encounter follows Sam and his band of oddball mercenaries as they battle across a pixilated world teeming chaotic battles, hordes of bizarre creatures, and mysterious secrets. Choose your weapons and take aim at the most random Serious Sam adventure yet! A cooperative action adventure where you collect preposterous historical figures to fight waves of strange monsters. To fight this menace, you - the ruler of all these rulers - must work together with your friends and make sure no wars break out on the way to ultimate victory.Just this once, you\'ll find Napoleon needs to rally around Queen Elizabeth\'s Union Jack in order to heal and survive. Joan of Arc will leap to the rescue of a beleaguered chainsaw wielding Abraham Lincoln, and if all else goes wrong, Napoleon\'s self-propelled traveling cannon will clear the path for the others.\"Don\'t tell these idiots how it works!\" Napoleon yelled. 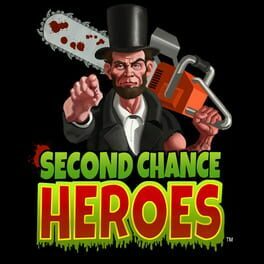 \"I\'ve got a patent and until they reanimate Thomas Edison, I intend to keep it!\"Second Chance Heroes is a game of rivals, who are forced to be friends to kill re-animated cheeseburgers. These legends of the history books are being cooperative. So should you. As they say, those who command their clones as a team collect the most zombie gold. Armed with a simple yet stylish revolver and six devastatingly plump bullets, you must reset the security mainframe to restore order and reap the rewards of a job well done. 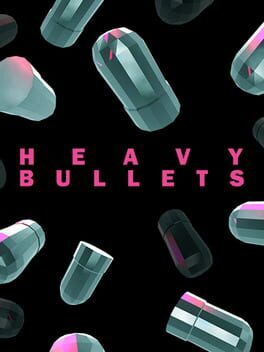 To succeed in the game, players will need to move carefully and make smart use of their bullets, items, and the environment as rushing into new areas is the fastest way to get killed in the untamed wild of the neon corridors. The Four Horsemen of the Apocalypse lurk in the shadows before you. They are Death, Pestilence, Famine, and War. They are the root of all that is evil. They are the least of your worries. The last know Serpent Rider, Eidolon, lives. As the Necromancer, the Assassin, the Crusader, or the Paladin, you must defeat the dark generals and their Hell-spawned legions before you can face the Archfiend and attempt to end his ravenous onslaught. Go in peace and you will surely die. Experience the Quake Engine's true, polygon-based modeling for the most realistic, detailed environments ever seen in 3D gaming. Possess distinct spells, powers and 32 new weapons. With experience, gain levels, more hit points and certain abilities that apply to your specific character class, such as increased speed, firepower, and jump distance. 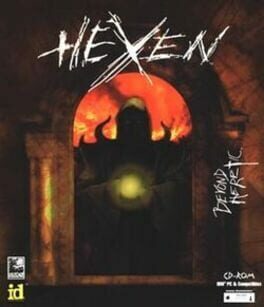 Bludgeon your way through four demon-infested worlds - Medieval, Egyptian, Mesoamerican and Roman. Smash stained glass windows, collapse structural beams, and pulverize trees. Come face-to-face with Knight Archers, Fire Imps, Were-Jaguars, Skull Wizards and more. Go in with friends, or go against foes in a bloody Deathmatch. Up to 16 players can go at it via LAN and over the Internet. Monsters and Monocles is a frantic top-down shooter for 1-4 players. Use teamwork and your arsenal of weapons to defeat the overwhelming hordes of evil. All the levels are procedurally generated with new layouts, objectives, and secrets each time you play. 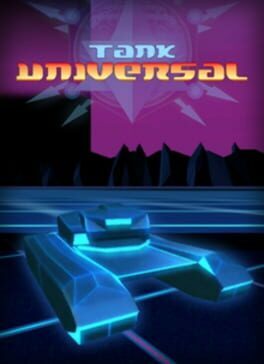 Tank Universal creates a huge virtual ‘Tron-like’ world where you take part in immense 3D tank battles involving scores of units both friendly and not so friendly in wide open levels! Players can bombard the enemy from a distance or close the gap and dodge shells point blank - all in an immersive first person perspective.